The role of a Head Hockey Instructor is to lead the daily on-ice sessions at the arena. Head Instructors teach either two or three group sessions a day on the ice. A group session consists of two hours of intense hockey training a day. Instructors are on the ice between 4-6 hours a day. Their specific role is to follow a comprehensive teaching outline and ensure that all required hockey skills are taught during the course of the week. Head Instructors lead teaching sessions and assign responsibilities to their Instructors. Head instructors have to create a fun work environment for their staff, yet earn their respect as a person of authority. The Head Instructor is responsible for the overall delivery of the ice session. Each instructor is responsible for completing personal Player Evaluations each week for campers they directly instruct. Head Instructors make sure that all campers are assigned to an instructor for evaluation. Head Instructors work directly with the Hockey Director and assume that responsibility in the Directors absence. Ensure that the program content is covered each day. Assign on-ice responsibilities to instructors. Supervise and assist with the evaluation of all Hockey Staff. Assume the role of the Hockey Director when Keith Murray is not present. Assist with administrative duties as per the direction of the Hockey Director. Initiate the Arena Emergency Action Plan in the event of a serious injury. Complete accurate and informative computerized player evaluations. Serve as a role model at the arena and at the camp, encouraging our campers to become better hockey players and individuals. 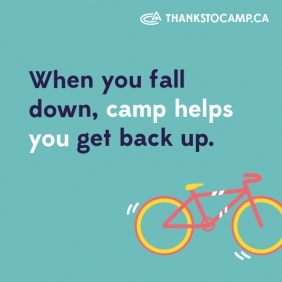 Assist with providing for the health and welfare of our campers. Participate in and possibly lead the Hockey Staff Orientation. Review the hockey program, job responsibilities, camp policies and emergency procedures. Participate on Sundays (10:00 AM – 3:30 PM) as per directions of the Hockey Director. Each instructor will be required to instruct either two or three camper groups per day and to arrive at the arena 30 minutes before your shift. When assigned to the Ranger / Senior groups (oldest campers), instruct Sunday evening. Communicate with instructors and counsellors so they know your expectations & responsibilities. Ensure that each on-ice session is safe, productive, instructive and enjoyable for our campers. Build a cooperative team atmosphere so that all hockey staff have a positive and enjoyable work experience. Encourage all hockey instructors to be diligent and responsible. Provide assistance and instruction to all hockey instructors including Instructors, Goalie Instructors, Hockey Counsellors and Dry Land Instructors. Player Evaluations are to be completed, submitted for review and stuffed by each instructor. All player evaluations are completed on a Chromebook, and must be completed on time. Assist instructors in evaluating and completing player evaluations. Attend a weekly Hockey Staff Meeting with Hockey Director Keith Murray, as well as a General Staff Meeting with the rest of the camp staff Thursday evenings at 10:15 pm. Assist with Friday night / Saturday scrimmages as assigned by the Hockey Director. Work with the Hockey Director to produce three formal written evaluations of all hockey staff; at the end of weeks 2, 4, and 6. Communicate with the Hockey Director on an on-going basis with regards to the program, hockey staff, facility and other issues. Staff working a full eight week contract period are entitled to one weekend off (Friday after daily duties to Sunday program demonstrations). The maximum number of instructors off per weekend is four. Wages: Summer wages range from $3,600 – $4,200 per summer depending on qualifications and experience of applicants. Room and board are included. Must have a strong hockey and educational background. Genuine interest in teaching hockey skills to young hockey players. Must possess excellent verbal and written communications skills. Must have good personal and managerial skills. Teaching and instructing experience a definite requirement.